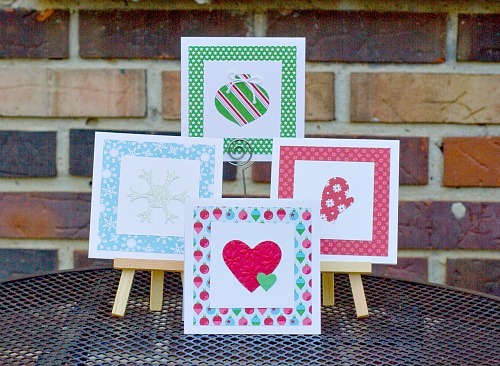 Handmade Winter Card-Making Kit for $10 shipped (only 50 available)! Jamie over at Jamie’s Stamping Cafe is offering a special card-making kit for Money Saving Mom® readers! This is a way to channel your inner love for crafting — without having to mess with buying or gathering up a bunch of different supplies. The best part about these Card-Making Kits? The supplies are all cut and ready-to-go. You just add adhesive and a little creativity and you’ve got some adorable handmade cards — perfect for Christmas cards, Christmas gifts, or just to send a winter hello or thank you note to brighten someone’s day. Each Card-Making Kit contains the supplies you need to make 8 cards (you will be able to make 2 of each of the 4 designs shown above). Your kits also come with 8 envelopes. To see pictures of each individual card, go here. While these cards are adorable 4×4 square cards, the envelopes will be standard and will only require one postage stamp. 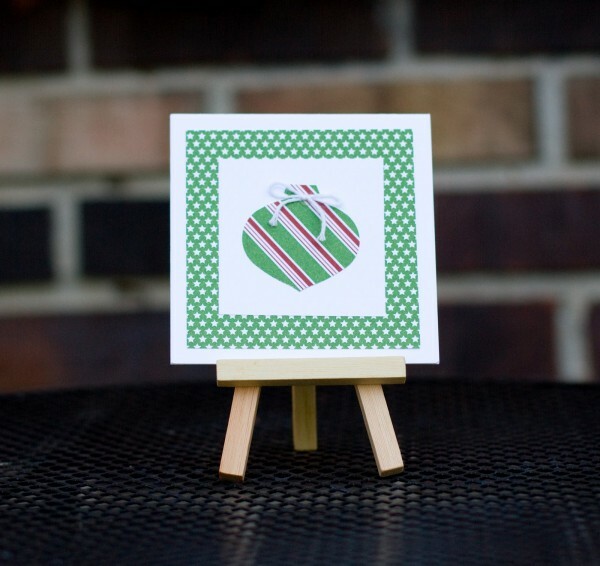 All you need at home to assemble your handmade cards is double-sided adhesive! How could you use these handmade cards? Gift Card Holders ~ add a special touch to your gift card giving this year! Scrapbooking ~ get creative and use your supplies for scrapbooking instead! Orders must be placed by Friday, October 5th at 11:59 pm PST and are available on a first-come basis while supplies last. All MSM orders will be shipped via USPS. The MSM offer is available for the first 50 orders. You will be refunded if supplies run out. The MSM special prices cannot be combined with any other offer or punch card perks offered by Jamie. Consider Yourself A More Advanced Crafter? Like Scrapbooking? Jamie is also offering Quarterly Samplers similar to the Winter Cards Kit. These Samplers double as both card kits and/or 12×12 scrapbooking kits! The 3rd quarter kits are available at a discounted rate for MSM readers until Friday, October 5th at 11:59 pm PST. Jamie is a school-at-home mom to two boys, and has been married to her best friend for 13 years. She has been demonstrating for Stampin’ Up! for 12 years. You can see her other crafty creations at Jamie’s Stamping Cafe.